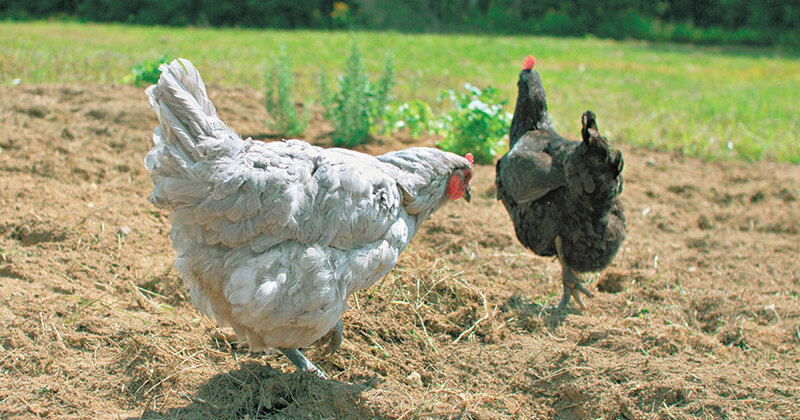 There are three main ways chickens can help with composting in the garden. You can integrate your chickens with a compost pile, let chickens act as a go-between when it comes to food waste and the garden, and help them along to create compost right inside the coop over winter. Chickens were born to scratch and turn over soil. They can’t stand to see anything piled up. Thus, chickens are the master compost spreaders. Let them at your compost pile whenever it needs turning, and they will turn it for you. As a bonus, they provide plenty of nitrogen-rich green material in the form of poop as they work the soil with their feet, searching for seeds, bugs, and other goodies to eat. 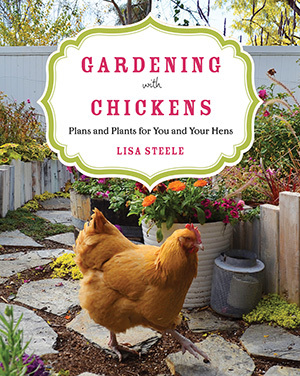 If you rotate your gardens, planting some in the spring and some in the fall, why not let the chickens into the resting garden? They can help keep the bugs and weeds in check and also deposit their droppings. As part of this plan, use the chickens as your conduit when composting. Normally, you’re taking your garden trimmings and kitchen scraps and depositing them into the compost pile to decompose slowly. Try this instead: Eliminate the compost pile altogether by letting your chickens process your kitchen waste for you. Feed any appropriate scraps to your chickens; they will digest the food and turn it into manure and then deposit it in the garden. You saved yourself several steps and provide your chickens a more healthy, varied diet. Just let the garden and soil rest for 3 months after you have rotated your chickens off before you plant your crops. The coop combines brown matter and green matter just as you’d want in composting. The carbon-containing coop litter, whether it be shavings, straw, hay, or even pine needles or dried leaves, is the brown matter. And the nitrogen-rich manure that your chickens provide on a regular basis is the green matter. Thus, you have your compost ingredients right there in the same place. I have to say, it’s brilliant! Chicken poop tea adds nutrients, enzymes, microorganisms, and other good things to your garden soils as compost does, but the liquid form makes it convenient to give a drink of tea to new transplants or plants that need a bit of a boost. 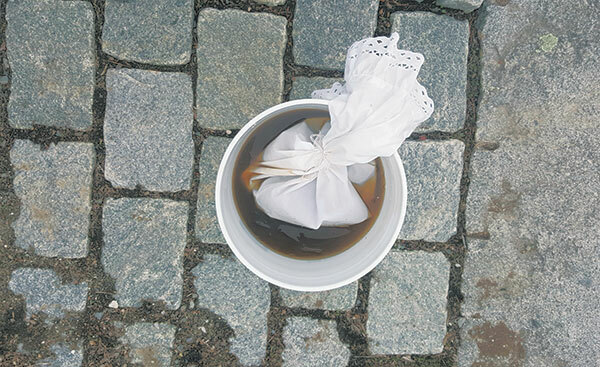 Make a “tea bag” for the manure — such as an old pillowcase. Fill it about 1/3 full with aged chicken manure and partially decomposed straw from the bottom of the coop litter. Tie a piece of twine or clothesline around the top of the pillowcase and then set it in a large plastic pail, barrel or trashcan that leaves some room for water. Add water — about twice as much volume as the pillowcase contents — making sure you cover the pillowcase and its contents completely. Leave the ends of the twine or clothesline hanging over the side of the pail. Then set it uncovered in a sunny location. Dunk the pillowcase up and down a few times a day to agitate the water and introduce oxygen to the solution. After about 2 weeks, remove the pillowcase and discard the solid contents into your compost pile. To use the tea, dilute it (1 part tea to 4 parts water) and it’s ready to give plants a boost. A note of caution: Fresh chicken manure is extremely high in nitrogen, which can burn young seedlings or plant roots, so you will definitely want to let the manure age for at least 3 months, and preferably 6 months or even a year, before using it on your garden. Also, using fresh chicken manure in your garden increases the chance of spreading diseases such as salmonella and E. coli, so be sure to let it age before you use it on edibles.